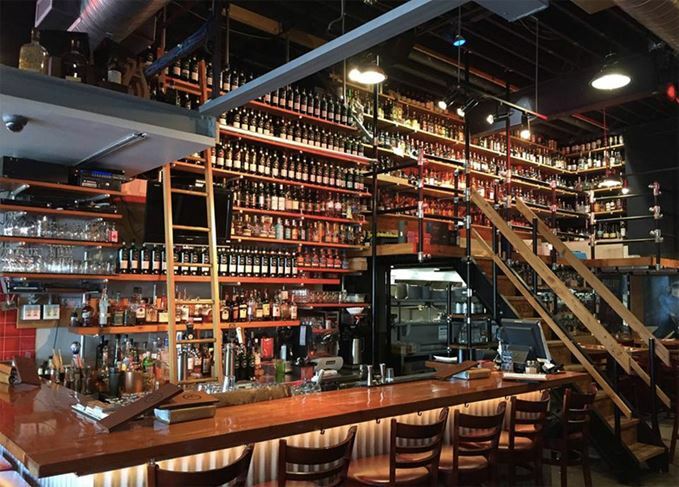 Government officials have raided several whisky bars in Canada and seized hundreds of bottles of ‘illegal’ Scotch whisky. The Prohibition-style raids in Vancouver and Victoria occurred simultaneously on 18 January at three whisky bars and a private members’ club – all of which are partner bars of the Scotch Malt Whisky Society (SMWS). Across all four premises, the only bottles seized were reportedly SMWS whiskies, with as much as CA$40,000 worth of stock taken from Fets Whisky Kitchen in Vancouver alone. Owner Eric Fergie said: ‘At 10am three government agents showed up with the police to conduct a Prohibition-style raid. Inspectors also raided The Grand Hotel in Nanaimo, Little Jumbo and The Union Club in Victoria, where the only whiskies seized were SMWS bottlings. All four had obtained the SMWS bottles from independent liquor stores, and not official government-operated stores. In many Canadian provinces, the sale of liquor is strictly controlled by the government, which approves a restricted number of whiskies for sale. While it is legal for individual customers to purchase these whiskies from independent stores, as well as those operated directly by the government, bars may only purchase whiskies from the latter. However, because the government-run stores offer a limited range of brands, hundreds of bars have quietly sourced whiskies from independent stores that offer a wider selection. ‘Every cocktail bar in the province has a few specialty products in their shelves yet only these four bars were raided and the only product removed was the SMWS bottles,’ Fergie added. The raids came ahead of the Victoria Whisky Festival, due to take place at the Hotel Grand Pacific this weekend on 18-21 January. As a result of the raids, the SMWS has had to cancel its masterclasses, while Scotchwhisky.com understands certain other whisky companies including Springbank and Gordon & MacPhail, whose products are not available to purchase through government stores, are also withdrawing from the festival. The Ministry of Attorney General in British Columbia said in a statement the Liquor Control and Licensing Branch (LCLB) doesn’t comment on action taken against premises. ‘As part of its regular operations, the LCLB performs inspections and follows up on complaints received about establishments. Talk of Prohibition-style raids dominated the jam-packed show in Canada this weekend.